Rogue Ohio Power Bar is rated 4.9 out of 5 by 224. Rated 5 out of 5 by Man from Nantucket from Good stuff I've only benched with the bar once so far. Maybe this is a little premature but I've been known to do some things prematurely. The quality is obvious as soon as you touch it. I would take this Rogue bar over an Ivanko. Unless this thing poops the bed out of nowhere, and I don't think it will, then this is as good as any bar available. Good stuff: knurling very similar to a Texas Power Bar sleeves spin like butter sleeves are ridged aggressively pretty stiff 520lbs gave a slight bow Bad stuff: I left it at the gym and I miss it right now. It's too long to carry on a bicycle. My wife made dry turkey burgers for dinner. Summary: Buy the bar. Can I come to your house for dinner. Rated 5 out of 5 by Danny O from Purpose-Built Power Bar - Nailed It Got this right upon release. Simply put - Rogue nailed it. I've owned a older Texas Power Bar (TPB) and the finish and construction is just way better on this Ohio Power Bar (OPB). This OPB has aggressive knurl (more aggressive than I thought it would be), great finish and looks (I got the black zinc shaft/bright zinc sleeves), great steel (205k tensile), etc. 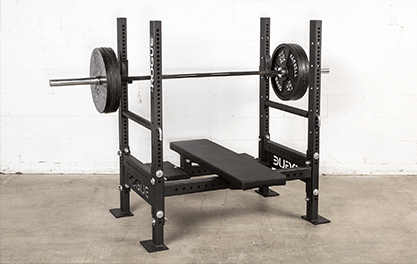 Can't go wrong with this bar if you are looking for a purpose-built powerlifting bar. If you are looking for a multi-purpose bar (olympic lifts, powerlifting, high rep stuff), I'd look at another bar. 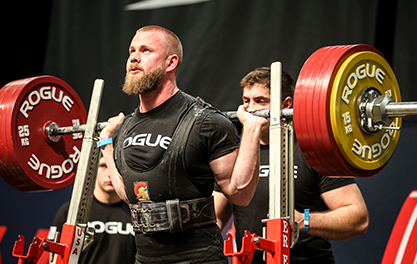 But if you compete in powerlifting or just train in the lifts, big recommendation for the Rogue Ohio Power Bar. Rated 5 out of 5 by Tommy C from Fantastic Bar This bar is fantastic for the 3 big power lifts. Rogue has done an amazing job making a solid power bar. 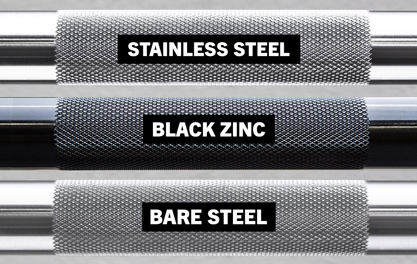 The knurling gives a great grip and will stick to your hands or back (used the black zinc, bare steel is probably even better). I've used the Texas power bar as well, and don't get me wrong, its a great bar, but I feel that the Ohio power bar is more solid in the hands. Collar spin is decent but probably would not be good enough for olympic lifts. However, it would still be a good bar for other barbell exercises other than the big 3 lifts. Rated 5 out of 5 by Jon E from Beautiful and well made. Night and day difference compared to my old bar that came with my 210lb weight set. This bar just oozes quality. Just one little problem (My fault) I got the bare steel, and living in Houston, I wish I would have gotten the SS version. It gets really humid here and my bar got covered in little rust spots, especially the sleeves. I cleaned it as best as I could and I now store the bar inside, which is a bit of an inconvenience, not being able to keep it in my garage gym. If you live in a humid city the bar must be stored in a climate controlled space. Rated 3 out of 5 by Aaron G from Bare Steel Bar This was my first bar that I've bought and I have had it for about a year now. The bar it's self is strong and versatile. If you are on a budget it's good. That said, I live in a place can have dramatic shifts in weather (hot to cold) so the bar started to rust within a month of receiving it. Not Rouges fault, as I said it's a great bar. I just didn't realize how quickly it would happen. It's not an issue if you don't mind cleaning it every month or three, which is what I do. But, if I could do it all over again I would have spent the extra money and gotten any one of the slightly more expensive bars with some kind of protective coating. 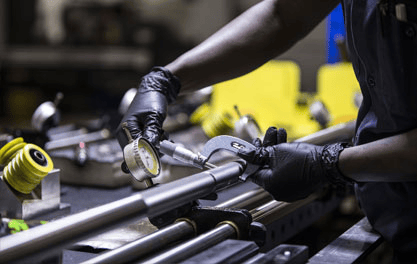 Rated 5 out of 5 by the Dude Abides from Fantastic quality at a fair price Rogue is quite simply the best barbell manufacturer in America. I received the bare steel Ohio Power Bar several weeks ago and it is a work of art. 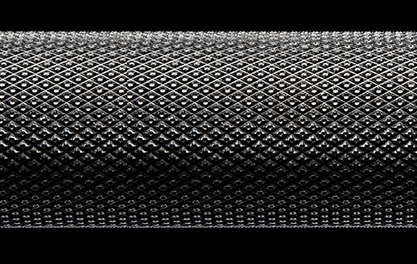 I love the knurling, the grooved sleeves, the appearance - and most importantly - the feel of the bar. Honestly, I can't believe that it was only $250. I'm hoping Rogue will pursue the manufacture of an "old school" deep dish plate to go with their increasingly impressive catalog of high quality bars and then develop their own American-made bumper plates (I'm a sucker for the Leoko/Hantel design). I also can't wait to order the soon-to-be-released Ohio Deadlift Bar. Frankly, what America has become in terms of manufacturing and industry is depressing and not a positive for the long-term health of the country. 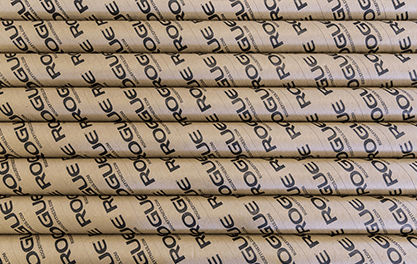 It's wonderful to see Rogue returning quality and pride to American manufacturing. Rated 5 out of 5 by Garage Lifter from Great Bar I just got this last week and did my first deadlift reps with it today. It's solid as a rock and just feels like quality through and through. I got the Black Zinc version because I didn't want to have to oil it and such like is required with the bare steel version. The knurling is perfect for me. It grips, but not in a harsh way. It's just right. There is ZERO play in the sleeves, as well. They spin nicely, but pull outward on one and it has no give at all. The bar it's replacing is a $50.00 Gold's Gym toy from Walmart and it has about 1/2 inch of play on each end, not to mention that it squeaks and rattles. Pretty scary with heavy plates on there. I also want to mention that I ordered this bar on Wednesday evening and had it in my hands on Friday evening. That's shipping speed for you. So if you're on the fence about this bar, get it! Rated 4 out of 5 by Snow Man from Go for the bare steel I've had this bar for a year now. It's durable. I failed a 505lb squat, and the bar fell roughly 18" onto the safeties; there was no deformation to the bar. Straight as an arrow. The knurling is very aggressive. For single attempt deadlifts it's perfect, but rep work can be a bit masochistic. I ordered the bar with the black zinc shaft. It looked fantastic at the beginning. Over time the finish has been worn off from my shins rubbing up against the bar. If I was to do it again I would choose the bare steel version. Issues aside it's an excellent purchase. I'll be using this for many years to come.